Good work August 22nd! 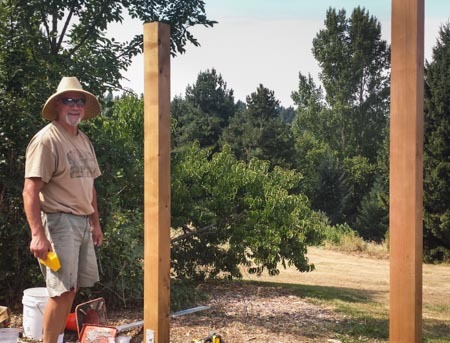 The first stages of building a Meadowbrook Orchard Kiosk took place with good friend Alan C putting in the 6×6 posts. Sharing the good news with community on volunteer opportunities, displaying work plans, connecting digitally, casting the vision and organizing ‘day of’ events are some of the highlights of this outdoor structures purpose. Thank you Meadowbrook Community Center Advisory Council for their continued support in helping to create such a community asset in Meadowbrook.